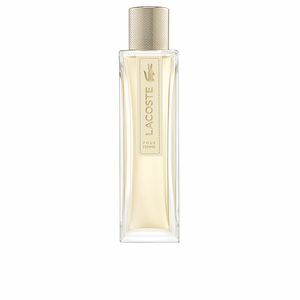 Lacoste Femme by Lacoste is an “Eau de Parfum” for women, with floral and wood notes. 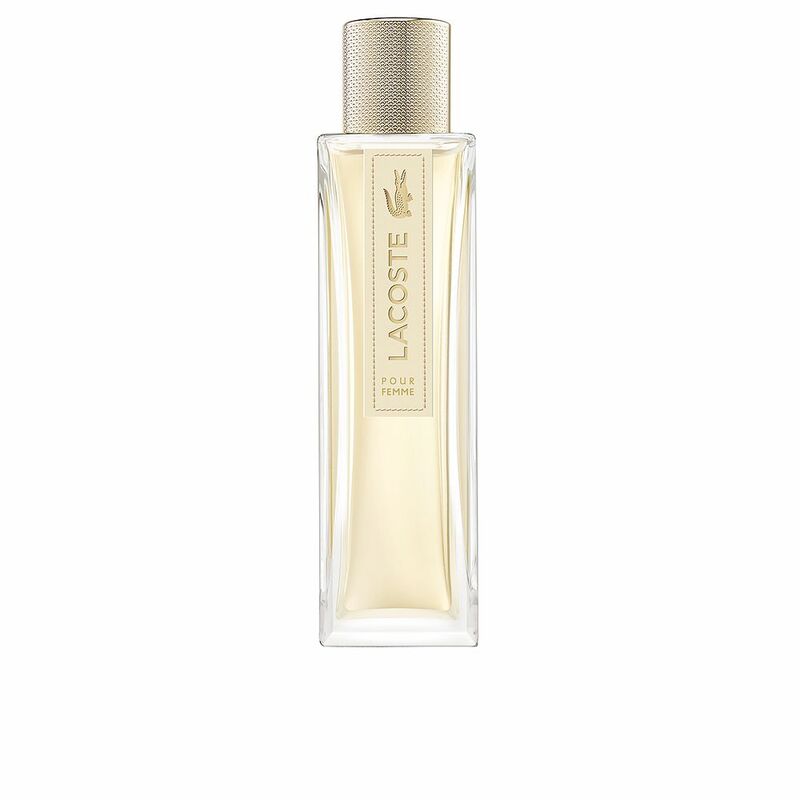 It is a perfume that pays tribute to the stylish contemporary, simple and refined women, women who follow the casual and sophisticated fashion that characterizes Lacoste, women with a renovated classic style that fits perfectly the latest trends, but nonetheless flee from the strident. 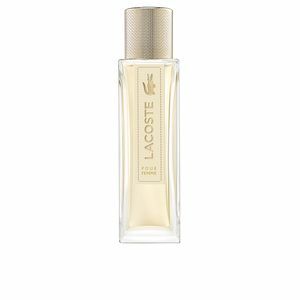 This fragrance was created in 2003 by perfumer Olivier Cresp. We are facing a creation that boasts femininity. A very important aspect for the firm. A discreet and sophisticated femininity, fleeing the excesses and is noted for its elegance. 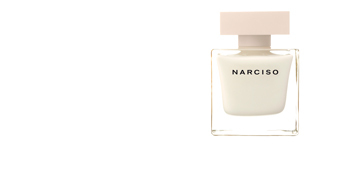 Less is more, and so cresp reflected in this fragrance. Its awakening, creamy and smooth, begins with notes from pepper, fresia and apple, that perch delicately on the skin to make way for floral notes, responsible for providing it with femininity. Finally come to light woodier, seducers and personality, like incense, labdanum or chamois shades. SWEETNESS AND FRESHNESS. 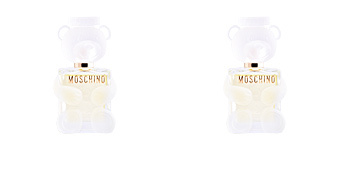 Two of the features of this perfume. An innocent but seductive sweetness, combined with a casual coolness. A perfectly balanced mix. PURITY AND TRANQUILLITY. Here's its bottle. Subtractions its slender lines denote refinement. perfectly carved crystal clean lines and unique detail as the anagram of the firm embodied in the front. Minimalism in its purest form. GIFT IDEA. Its delicate and sweet awakening, makes a perfume with an excellent acceptance among the feminine audience, so it's a perfect choice for a gift idea. Become a guaranteed success. 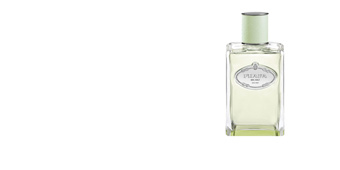 Top notes: Pepper, fresia and apple. Middle notes: Violet, hibiscus, jasmine, heliotrope and rose. Base notes: Labdanum oil, sandalwood, incense, cedar and suede. 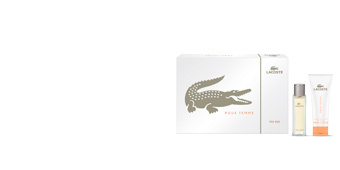 Lacoste Femme by Lacoste is a floral wood fragrance. 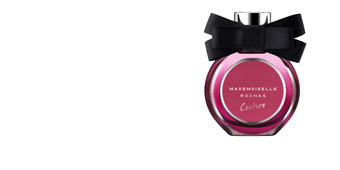 With its scent features, it is a suitable choice for any time of day and can be worn throughout the year. Its scent on the skin is long-lasting in a subtle but persistent manner. 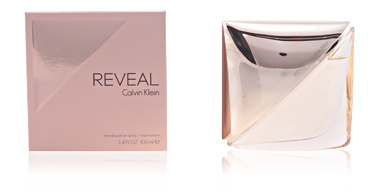 This fragrance is recommended for women around 40 years old because of its classic and elegant style.